A stroke, in particular, more so than other illnesses, is often preceded by a foreboding feeling that something strange is going on. Odd sensations can serve as cautionary warning signs prior to a stroke. Where Do Stroke Premonitions Come From? There is a biological explanation for the relatively common occurrence of peculiar pre-stroke symptoms. Sometimes, brief physiological changes may precede a stroke. Cerebrovascular disease, which often develops gradually as a result of aging and some common illnesses, causes narrowing and stiffness of blood vessels throughout the brain. This makes some arteries more susceptible to obstruction of blood flow. Before a blood vessel in the brain becomes blocked- causing a stroke- the artery may become temporarily occluded, and then improve on its own. This brief blood flow insufficiency can produce fleeting neurological symptoms, called transient ischemic attacks (TIA). Brain aneurysms, arteries in the brain that have​ out-pouchings, are prone to leaks and ruptures. Some strokes are preceded by slow, intermittent aneurysm leaks, rather than sudden spontaneous events. These waxing and waning episodes can give rise to erratic neurological symptoms corresponding to the affected territory of the brain in the days or weeks leading up to a stroke. Patients may experience strange feelings such as​ tingling, hearing loss, unusual visual episodes, dizziness, nausea, headaches, confusion, clumsiness or slurred speech. A stroke can involve any region of the brain from the area that controls judgment and behavior to the area that controls movement of the left thumb. This is why pre-stroke symptoms are so variable. How Common Are Stroke Premonitions? A research study published in ‘The Journal of Neurology, Neurosurgery, and Psychiatry,’ evaluated a group of patients who had each been diagnosed with a stroke caused by obstruction of the anterior inferior cerebellar artery, a small artery that supplies blood to a portion of the cerebellum. A total of 16 patients were enrolled in the study. About 1/3 of the patients had experienced brief episodes of hearing loss and ringing in the ears, lasting only minutes, at some time between one to ten days prior to the onset of stroke. The findings of the study are consistent with many of the reported accounts of stroke patients. Subtle neurological symptoms lasting for only seconds or minutes may be briefly unsettling, and then largely forgotten. However, these symptoms may signify mini-strokes or transient ischemic attacks – TIAs- prior to a stroke. Some individuals are naturally more attuned to subtle hunches than others. But stroke premonitions are actually rooted in real physiological changes, and therefore demand serious notice. It can be tempting to brush off minor symptoms, but getting medical attention for these fleeting feelings can help thwart the significant effects of an impending stroke. It is important to avoid delay in getting a medical assessment for unusual neurological symptoms. Your doctor might tailor your medical assessment based on your own risk factors or your family medical history. Some blood tests or diagnostic imaging tests might be required as part of your evaluation. In some cases, a plan for management of newly diagnosed stroke risk factors may be initiated. This can effectively prevent a stroke from eventually happening. In addition to medical management, there are many healthy lifestyle changes that you can easily make to help avoid a stroke. 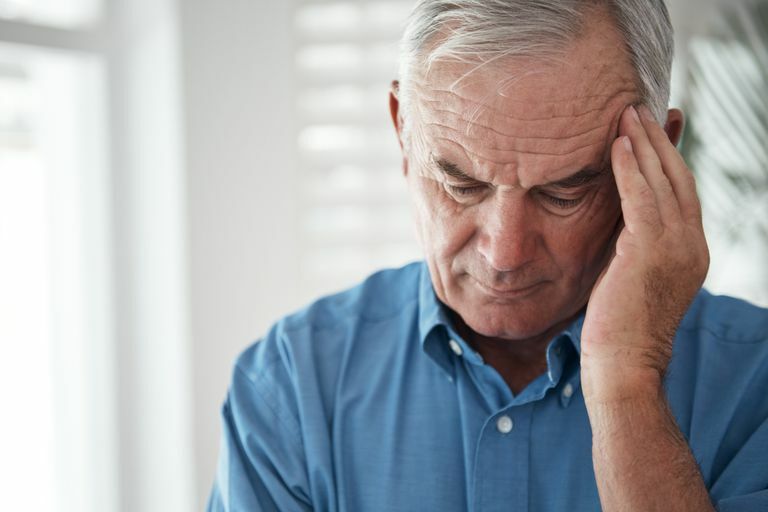 In some instances, a careful medical evaluation for an unusual neurological symptom can aid with the diagnosis and treatment of one of the many stroke-mimicking disorders. What Is Reversible Cerebral Vasoconstriction Syndrome?